The coverage from Mattel and WWE's take over from Comic Con continues as even more "First Time in the Line" action figures are displayed each moment. NXT fans will be enthused to learn that the toy company will be coming out with a 3-pack of Undisputed Era action figures later this year. The set will feature Elite figures of Adam Cole, Bobby Fish, and Kyle O'Reilly - all of whom will be making their Mattel action figure debuts in this set. They come in their ring gear and also have removable t-shirts. 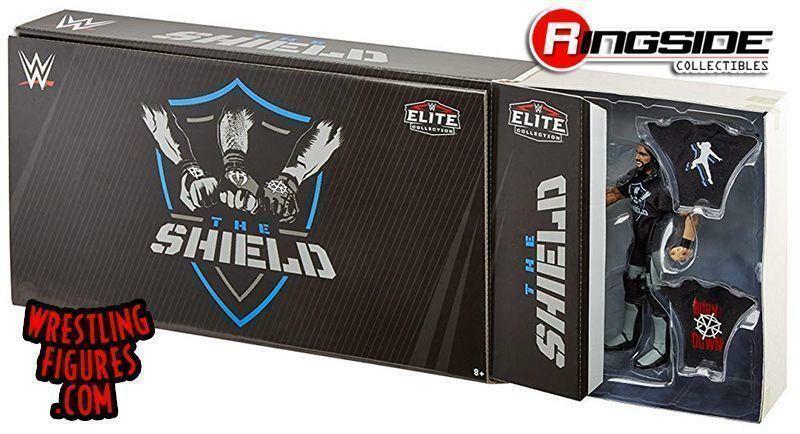 Another Elite 3-pack coming out soon will be dedicated to The Shield's reunion from last year. Roman Reigns, Seth Rollins, and Dean Ambrose will be receiving new figures that include their Shield shirts, but the three of them will also include their own set of shirts (presumably in case the trio decided to split up again.) The set is available to pre-order here. Those are not the only big sets from Mattel that fans and collectors can look forward to buying. Fans of Matt Hardy's "Woken" gimmick will be DELIGHTED to see that there will be a huge set coming out in the future based on The Ultimate Deletion from earlier this year. 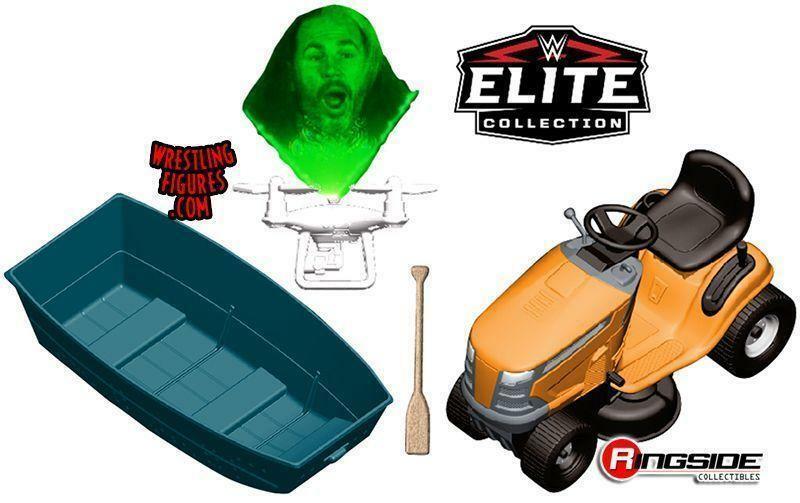 The set will presumably include the first Elite figure of "Woken" Matt Hardy, as well as Matt's Vanguard1 drone, Skarsgard the Dilapidated Boat, and, of course, the now infamous "Mower of Lawn!" WONDERFUL! More Retro figures were also displayed during the panel yesterday. 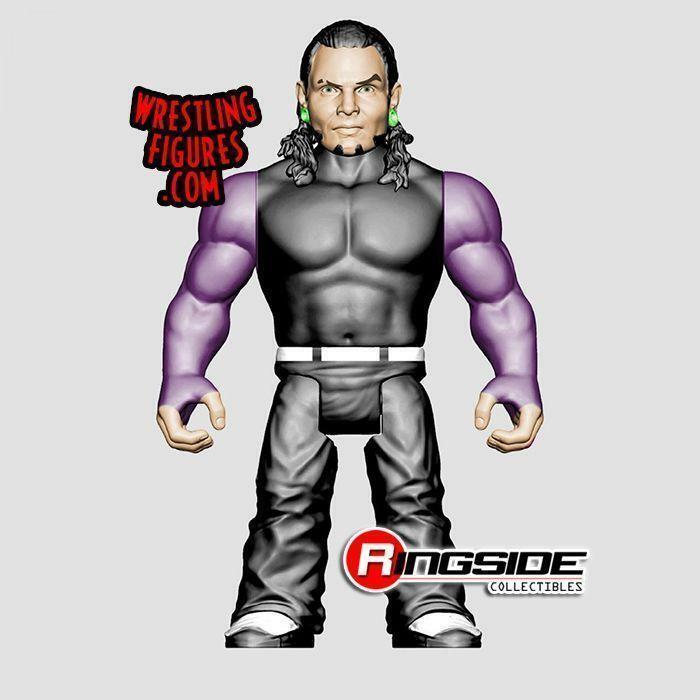 The popular series will include new versions of The Iron Sheik, Jeff Hardy, Braun Strowman, as well as a new Retro figure of Raw Superstar and avid WWE action figure collector, Zack Ryder. Finally, Mattel also took the time to unveil their next set of Entrance Greats Elite figures. 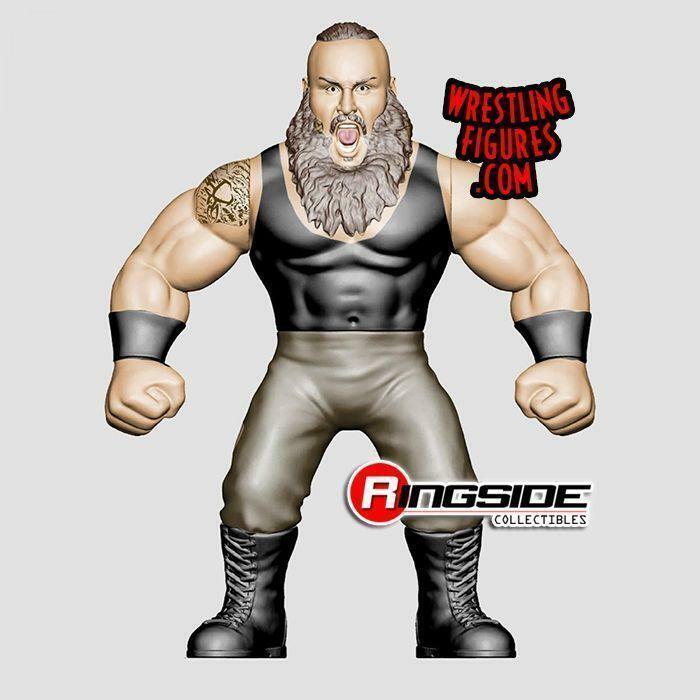 The line, which sees Mattel's highly-detailed Elite figures come included with a display stand that can play that particular WWE Superstar's entrance theme, will include the toy company's first version of Goldberg from WCW. In addition to the musical display stand, Goldberg will also include the WCW world title that he held. The figure is up for pre-order right now at this link. 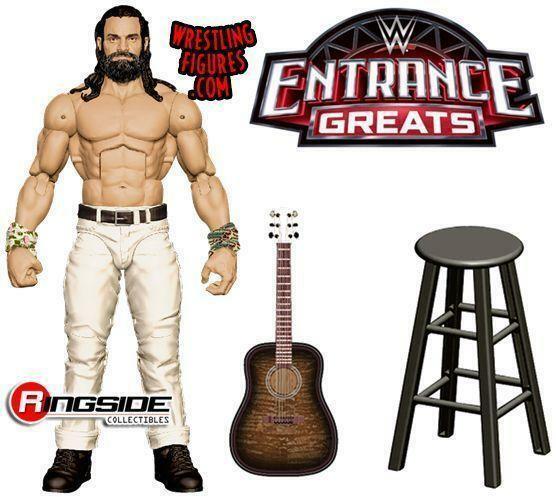 Later on, Mattel will be rolling out an appropriate Entrance Greats figure when Elias takes the stage in new white ring gear and an angry headsculpt. The figure also includes his signature guitar and a stool that he may sit on in order to perform all of his latest songs. Be sure to check back here all weekend long for all of the latest updates from WWE and Mattel as they take over San Diego Comic Con! * SDCC Day 1: Ronda Rousey, Asuka, Gulak, Savage, Deville, & More!